Keeping your engine cool and the cabin hot or cool is the goal. 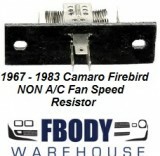 We have a wide variety of products for your 1974 1975 1976 1977 Camaro to get you there. 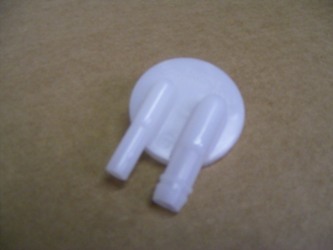 From a simple radiator cap, to a complete coolant bottle jug set Fbodywarehouse can cover your heating and cooling needs! 1967 - 1974 Camaro Trans Am Reproduction Radiator Cap NEW! 1967 - 2002 Aftermarket Radiator Cap With Lever NEW! 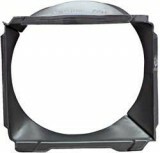 1967 - 2002 Camaro Trans Am Aftermarket Radiator Cap Without Lever NEW! 1973 - 1992 Camaro Radiator Overflow Bottle NEW! 1967 - 1981 Camaro Trans Am Aftermarket Stainless Overflow Tank NEW! 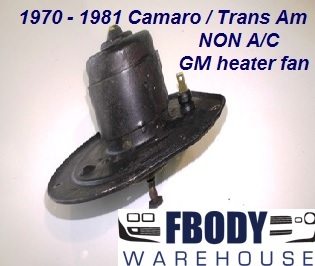 1970 - 1981 Camaro Trans Am Outer Air Conditioning Fan Box GM used unit!